I selected this for the low cost. From what I understand there are only a handful of companies that make AR lowers and they are all milspec. I may be wrong. Looking to build a 9mm or .223 pistol. Does this need to be shipped to a FFL? Yes it does because it has the serial number and it has to be recorded. Easy, Quick and at a great price. This is your standard AR15 lower. I bought 4 for a few projects and they work as intended with MILSPEC parts. 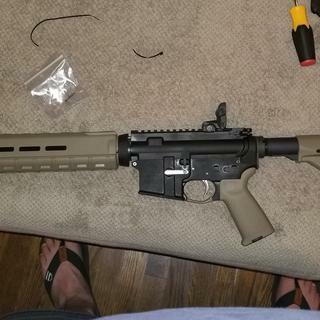 I definitely recommend buying some if you are looking to build a rifle on a budget. I made a rifle for $360 and used ine of these lowers and it worked great. Good quality . Good design! Will definitely buy again!